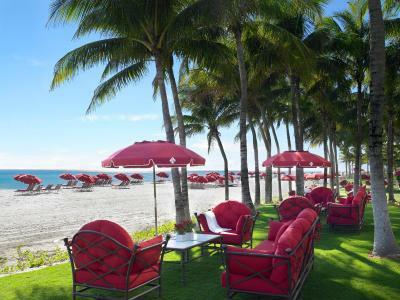 Lock in a great price for Acqualina Resort and Spa - rated 9.3 by recent guests. The property was in a beautiful location right on the beach. The staff are all very polite and create a friendly and welcoming atmosphere. We celebrated my birthday here and received a card and cake which was a lovely and unexpected bonus. wonderful resort.. staff were exceptionally welcoming and great. Mariana, in particular, will go out of her way to please guests. 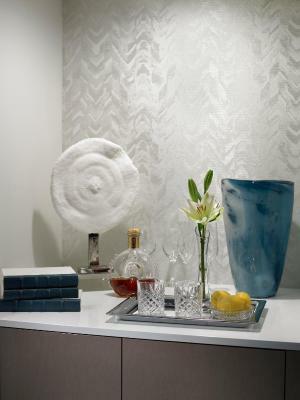 Friendly and helpful staff, luxury style, attention to detail. We couldn't believe not only would they open your car door to get in but they'd hand you the seat belt too! personally i did not find the bed comfortable at all. We loved the beach and the facilities. The staff by the pool were phenomenal. Overall experience was fine. Found a pill on our room floor and learned it was OxyContin. We alerted management immediately. Parking and the Valet appeared poorly managed a couple of days with delays to get our vehicle. And I found some of he security/staff near elevator were not pleasant and didn’t greet us kindly. Some didn’t even help us as we were loading our small sons and items into the elevators. The waitstaff at all the restaurants were awesome, accommodating and thoughtful! The hotel staff was not universally as pleasant and thoughtful. Lugar, decoración y especialmente la atención del personal son extraordinarios. Gostei de tudo no hotel, mas gostaria de enfatizar que os restaurantes são excelentes. É uma ótima opção de acomodação para quem vai de férias com a família. Além disso, fica próximo do Aventura Mall. 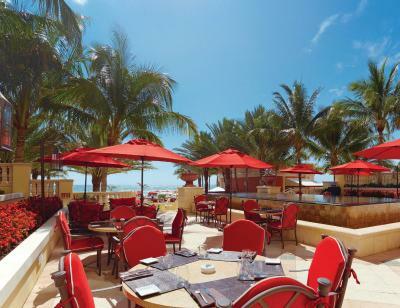 One of our top picks in Sunny Isles Beach – and a guest favourite. 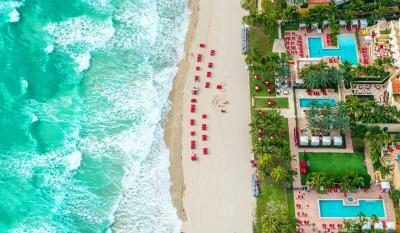 Every stay is sure to be unforgettable at the Acqualina Resort and Spa on the Beach with exceptional amenities such as in-room flat-screen TVs and iPod docking stations. Guests can also enjoy on-site boutique shops as well as 3 different dining options, including traditional Japanese sushi. 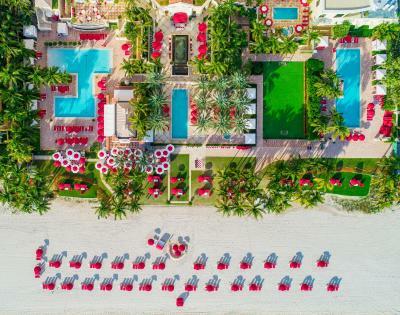 The Acqualina also provides easy access to a variety of recreational activities, including on-site kayak and jet ski rentals. 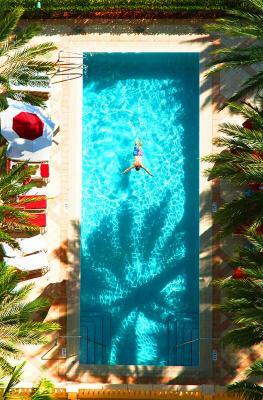 A state-of-the-art fitness center along with 3 outdoor swimming pools is also available on-site. 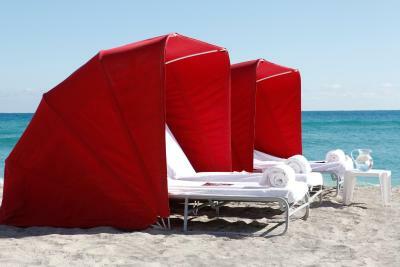 Only 10 minutes' drive from the Acqualina Resort are the luxury shops and restaurants of Bal Harbour. 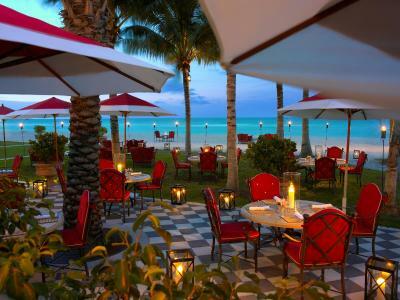 The vibrant South Beach area as well as the legendary Art Deco district is also within driving distance. 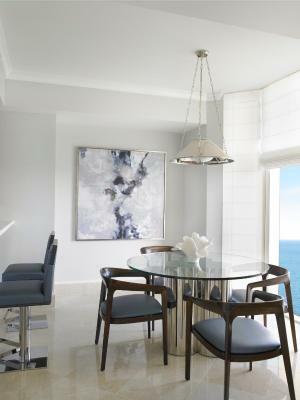 This is our guests' favourite part of Sunny Isles Beach, according to independent reviews. 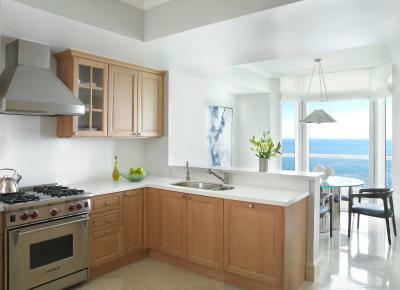 This property also has one of the best-rated locations in Sunny Isles Beach! Guests are happier about it compared to other properties in the area. This property is also rated for the best value in Sunny Isles Beach! Guests are getting more for their money when compared to other properties in this city. 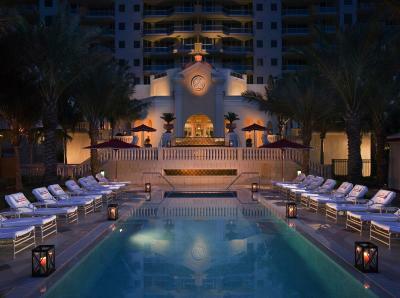 Acqualina Resort and Spa has been welcoming Booking.com guests since 10 Nov 2009. 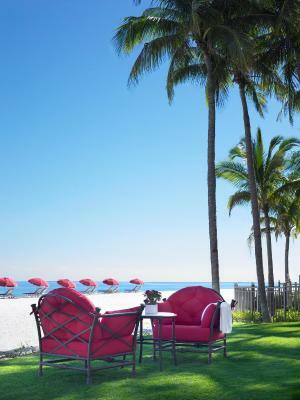 When would you like to stay at Acqualina Resort and Spa? 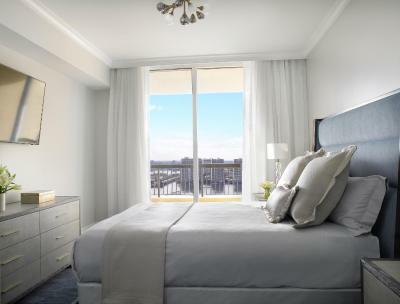 This spacious room type offers a private terrace with views of the Intracoastal Waterways and is located on floors 5-17. It features a flat-screen TV, a separate seating area, and a marble bathroom with a spa bath. Please note that the price is based on 3 adults or 2 adults and 2 children. 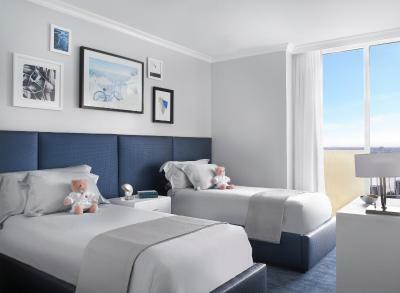 Additional charges apply for further guests (see Hotel Policies) . This spacious room type is located on floors 18-28 and offers views of Collins Avenue. It features a flat-screen TV, a marble bathroom with a spa bath and a large balcony. 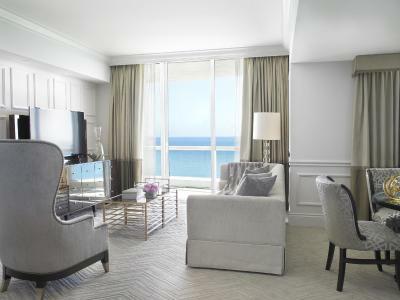 This spacious oceanfront room features a flat-screen TV, a minibar and a marble bathroom with a spa bath. 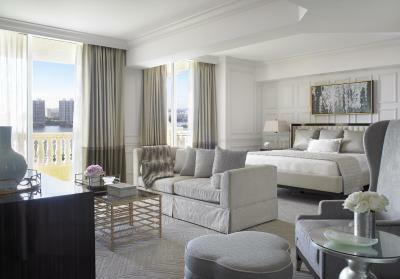 This suite features a large living room and private dining terrace. It includes a flat-screen TV and a marble bathroom with a spa bath. 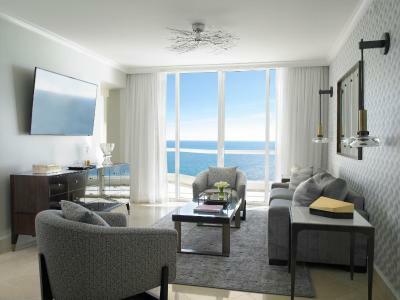 This oceanfront suite features a gourmet kitchen and a marble bathroom with a spa bath.A private balcony is provided. 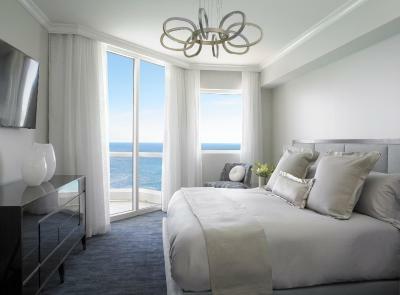 This very spacious suite includes a gourmet kitchen and dining area, a powder room, 2 full bathrooms, a spa bath and a master bedroom with ocean views. 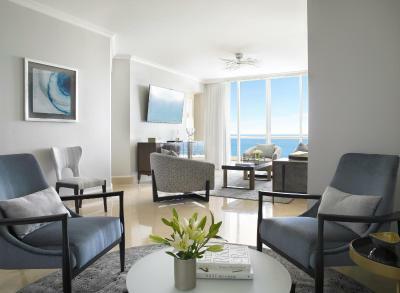 This very spacious suite features a gourmet kitchen and dining area, powder room, 2 full bathrooms, a spa bath and a master bedroom with ocean views. This double room features a balcony, spa bath and seating area. 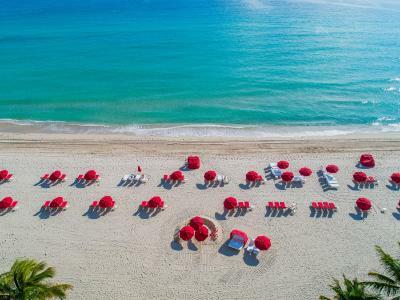 Acqualina Resort & Spa on the Beach is a luxury seaside haven located on 4.5 beachfront acres in pristine Sunny Isles Beach, featuring 98 impeccably appointed guest rooms and suites and 188 residences with breathtaking views of the Atlantic Ocean. 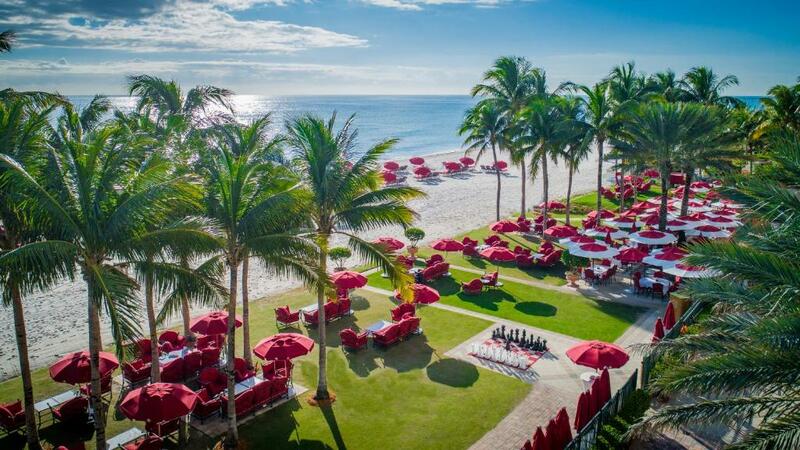 Acqualina is a recipient of the coveted Forbes Travel Guide Five-Star Award and the AAA Five Diamond Award. 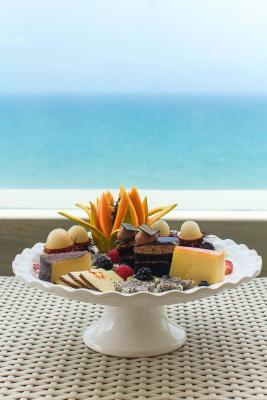 We invite you to step into a world of luxury with unprecedented accommodations and service, world-class dining destinations, three oceanfront swimming pools, spacious meeting rooms, and an innovative marine biology-based children’s program. 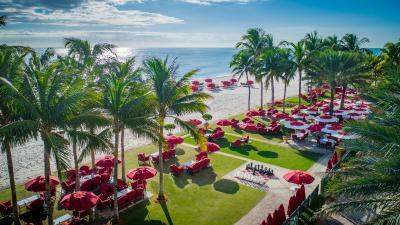 House rules Acqualina Resort and Spa takes special requests - add in the next step! All further older children or adults are charged USD 50 per person per night when using existing beds. 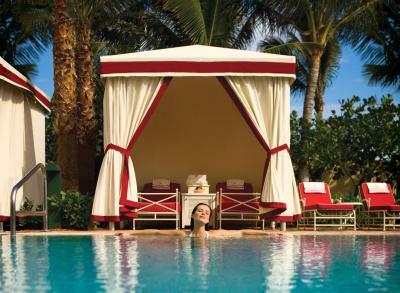 Acqualina Resort and Spa accepts these cards and reserves the right to temporarily hold an amount prior to arrival. Please note that the breakfast included rate is based on a 2-person occupancy. Additional guests will incur a fee. Incremental costs for everything! Was not clear on booking..com when I reserved the room that I had not paid the full amount! There was simply nothing not to like!! Things were quite expensive but given it's an award winning 5 star property and it's location I think this is more than to be expected. BEST FOOD IN MIAMI PERIOD. This property is the biggest rip off in terms of value for money! Location is awful! The hotel is right next to its new build out construction site. It’s constantly noisy. There is absolutely no way you can relax there. 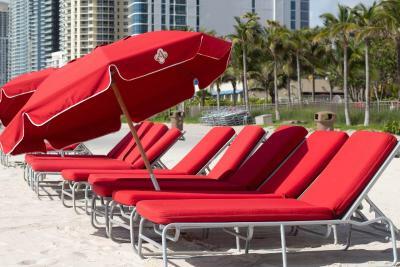 You can use the beach front up until max 2/3pm, then the sun is hidden by the skyscraper buildings and the pool space has no sun. Some staff are professional, others are absolutely not suitable to work at this property, for the price tag you are paying you are being ripped off!! Absolutely nothing! What they forget to tell you is that the property is right next to a construction site!!! It’s noisy non-stop! Sunny Isle is like a city next to waterfront, this is not a location to relax and have a vacation. The parking charge is a bit expensive. I was disappointed that they informed breakfast for two was not included in our room rate as I had expected. Everything as everyone is amazing! 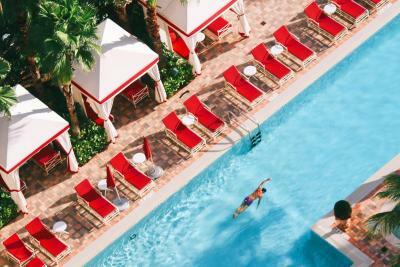 Love the pools, beach, room, amenities, and staff. Best hotel ever! We will be back! 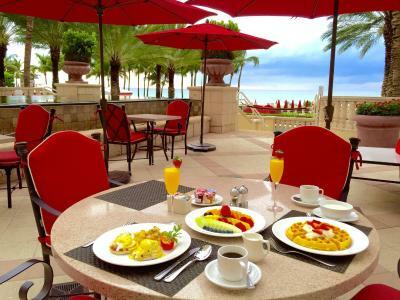 rooms very nice, breakfast buffet very good! The shower was somewhat slippery. The food at the chop house very mediocre. We were disappointed. Prices of food very costly. 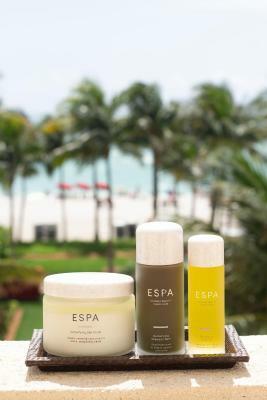 Thought the spa services extraordinarily costly. 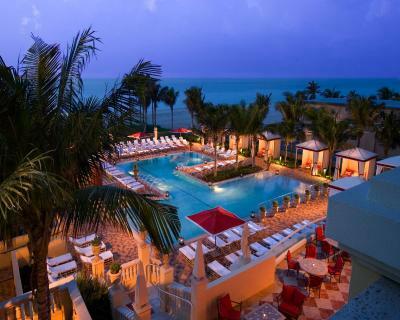 This is a high end luxury hotel right on the beach. Our stay here was a once off experience for us to celebrate our honeymoon. We enjoyed every minute of it and got to taste a slice of the high life. We loved the little touches for example staff opening car doors and handing you your seat belt, staff ready with a pleasant greeting at every moment, providing refreshing towels and a tour of the hotel upon arrival, laying out towels on our sunchairs, complimentary refreshments around the pool and leaving gifts in our room to celebrate this special occasion. 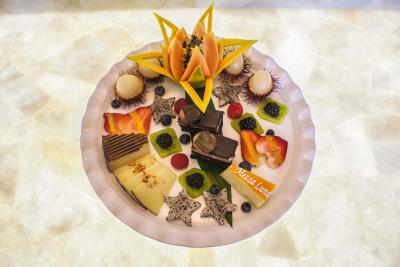 We also chose to have spa treatments, room service and ate in the restaurant one night. Everything was fantastic. Our view of the city from our balcony was spectacular all day but particularly by sunset and by night. Our room was nicer than my own house and included a sitting room with access to the balcony, beautiful bathroom with jacuzzi tub, extra large shower and separate toilet within the bathroom. The bed was divine and the bedroom also had access to the balcony. There was construction in the lot adjacent to the hotel but we were enjoying ourselves so much we hardly noticed. We're so glad we chose this as our last stop on our honeymoon tour of USA. Breakfast was not included with the room rate. The beachfront restaurant was so expensive. Three salads and three coconut waters cost $150.00. Yikes ! Excellent excellent service! The facilities were top notch but it was the service that truly made our stay unique and enjoyable. The Acqualina staff seemed genuinely happy to be there and to help out. the bed was horrible to spleep, not strong. the breakfast for the price was nothing special.